In this paper, molecular interactions in the binary mixtures composed of a xylene and selected 1-alkanol (1-butanol up to 1-octanol) were investigated by measurement of the density at T= 323.15 K. From the experimental data, excess molar volumes were calculated. Obtained data were interpreted based on the type and magnitude of the physico-chemical interactions in the binary liquid systems. In this sense, PC-SAFT was used to correlate the volumetric behavior of binary mixtures. The correlated values of the model were satisfactory and the obtained data are within the uncertainty region. The non-ideal behaviour of binary mixtures containing self-associated components is primarily due to the specific interactions arising from the hydrogen bond between the polar groups of the component molecules. When two liquids are mixed together, the resulting changes in the physical and thermodynamic properties can be considered as sum of several contributions due to free volume change, change in energy, change in molecular orientations and steric hindrances . Alcohols are of important class of hydrogen-bonded solvents and also of their −OH group participates in hydrogen bond formation used as a donor and acceptor of electrons. Our initial studies on the thermodynamics of alcohols solutions [2–4] were motivated by a desire to better understand the interactions among the various functional groups with alcohols. Moreover, this work contributes to test the compatibility of PC-SAFT model and also to correlate the experimental densities. Xylene and all 1-alkanols were analytically graded and purchased from Merck with stated level of purity greater than 99 % of mass fraction and used as received without further purification. 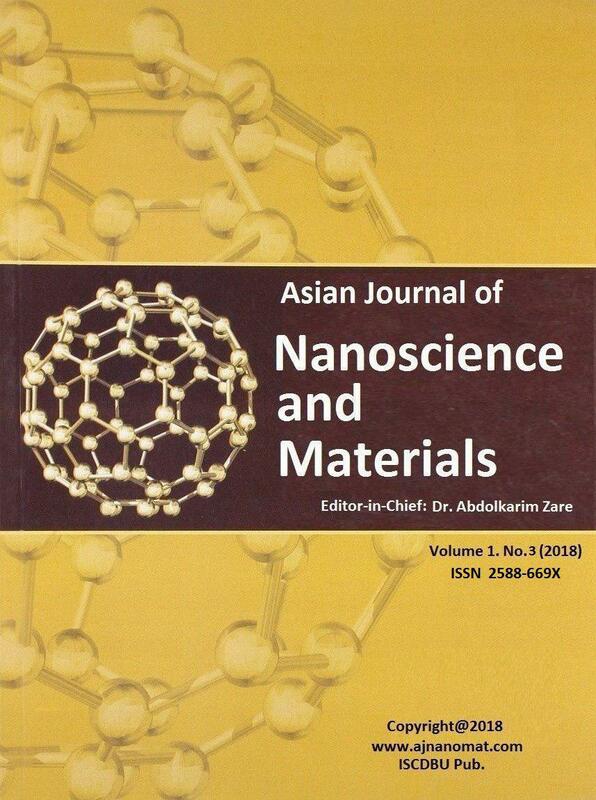 The measured densities for pure materials were compared to the literature values. The results show that the measurements are in agreement with literature and within the experimental uncertainties. Density measurements have been performed with an Anton-Paar SVM 3000 viscometer that automatically corrects automatically viscosity related errors in the density by measuring the damping of the U-tube oscillation. Prior to each series of measurements, the apparatus was calibrated using doubly distilled degassed water and dry air at the atmospheric pressure. Pure fluids used in the binary mixtures were degasified before preparation of the samples using an ultrasonic bath. The solutions were prepared by mass, using a digital balance (Mettler AE 163, Switzerland) with the precision ±0.01 mg and stored in airtight stopped bottles to prevent evaporation of the samples. To minimize evaporation during the sample preparation, the less volatile component was primarily charged first. The uncertainty is 1×10–4 g·cm-3 for density measurements. Moreover, The uncertainty in the mole fraction is ±1×10−4. where x is the mole fraction of one component of mixture, Ak is the adjusttable parameter and k is the order of polynomial. Values of excess molar volume are reported in Table 1. The measured can be described in terms of physical, chemical and structural effects. The physical effects consist of non-specific physical (weak) interactions, rupture of the hydrogen bonds in the self-associated molecules, weaker dipole-dipole interactions and interstitial accommodations due to different molar volumes and free volumes between unlike molecules resulting in positive values. The chemical and structural effects which arise in accordance to the specific interactions such as formation of hydrogen bonds, charge transfer complexes, strong dipole–dipole interactions, differences in size and shape of the component molecules and make negative values. for xylene + 1-alkanol is positive and systematically tends to the larger positive values with an increase in the size of 1-alkanol. This behaviour at T= 323.15 K is presented graphically in figure 1. The algebraic values of fall in the order: 1-octanol > 1-heptanol > 1-hexanol > 1-pentanol > 1-butanol. When the chain length of the alcohol is increased, the hydrophobic character of the 1-alkanol is also amplified and the interactions between unlike molecules weaken, resulting in the positive contribution to . In alcohols with higher chain length, the relative volume contributions of the polar OH versus the non polar alkyl chain for the alcohols decrease and the excess molar volume increases. Table 1. Densities and excess molar volumes for the binary mixtures at T= 323.15 K and P = 0.1 MPa. Table 2: Binary Interaction Parameter kij and standard deviation for PC-SAFT Equation. XA is the fraction of unbounded monomers of single site A and S is the number of associated sites. 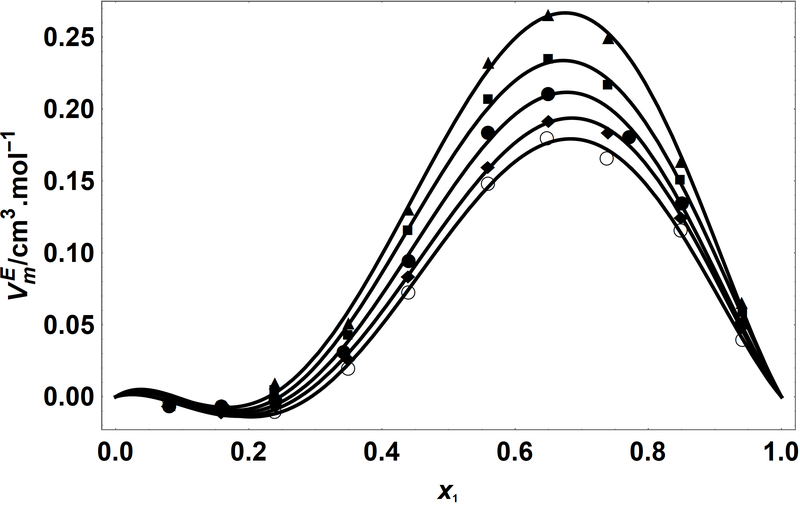 In present paper, the PC-SAFT model was applied to correlate the density of binary mixtures. In the case of alcohols, five molecular parameters and for xylene, three molecular parameters were fitted to the experimental vapour pressures and densities in order to optimize them. The PC-SAFT model contains one adjustable parameter kij which is usually independent of temperature. Values of these fitting parameters are reported in Table 2 along with average absolute deviation (AAD). Results of Table 2 indicate that the PC- SAFT equations is a powerful expression to correlate the density of binary mixtures with only one binary interaction parameter covering the whole concentration range. Figure 1. Excess molar volumes vs. mole fraction of xylene for binary mixtures of xylene with (○) 1-butanol, (♦)1-pentanol, (●)1-hexanol, (■)1-heptanol, (▲) 1-octanol at T = 323.15 K.
7. Gross J, Sadowski G (2002) Ind. Eng. Chem. Res. 41:5510–5515.